Peaches in syrup are a summer preserve that can be done at home easily with just a few ingredients. They can be used to make a cake or to accompany ice-creams and sweets. 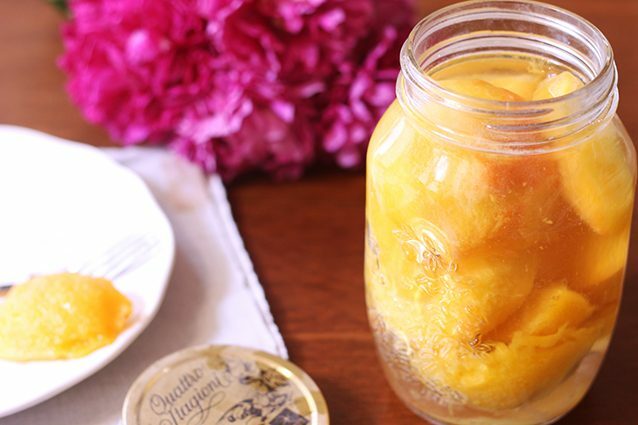 You have to choose some excellent peaches, like those yellow and hard, for this type of preserve, and sterilize well the glass jar to enjoy them in winter. 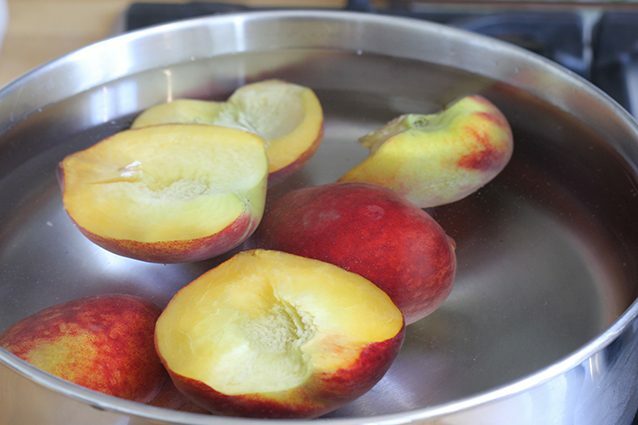 Sterilize the glass jar in which you will preserve the peaches. 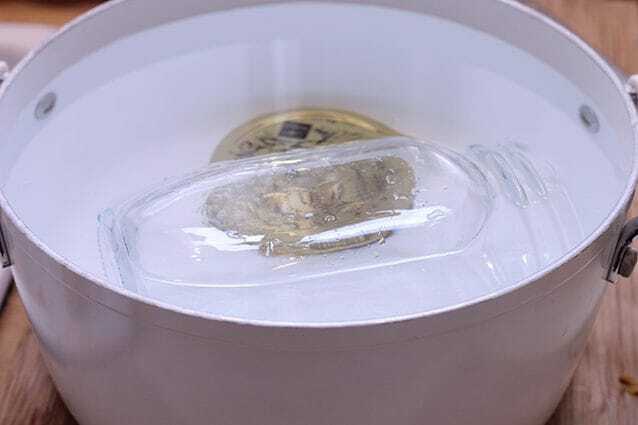 In a pot full of water, immerse the glass jar and its cap (1), wrapping them in a cloth to avoid breaking them. 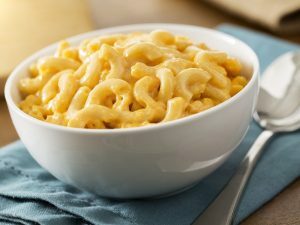 After reaching the boiling point, leave them in water for 25 minutes. 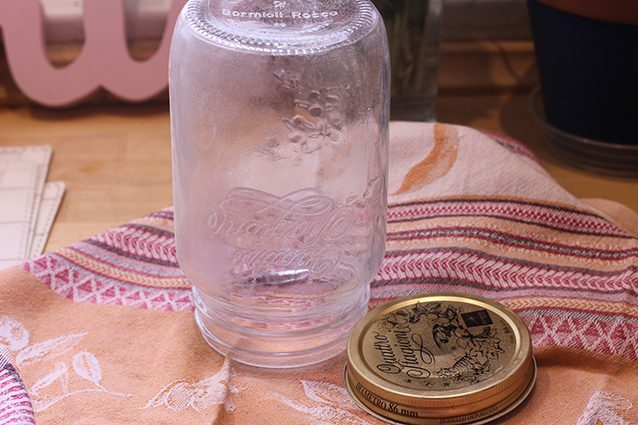 Then take the glass jar out of the water and leave it to dry upside down on a clean, dry cloth (2). Cut the peaches in half. Put them in a pot in plenty of water and cook them for about 3 minutes (3). Drain the peaches and remove the pits. 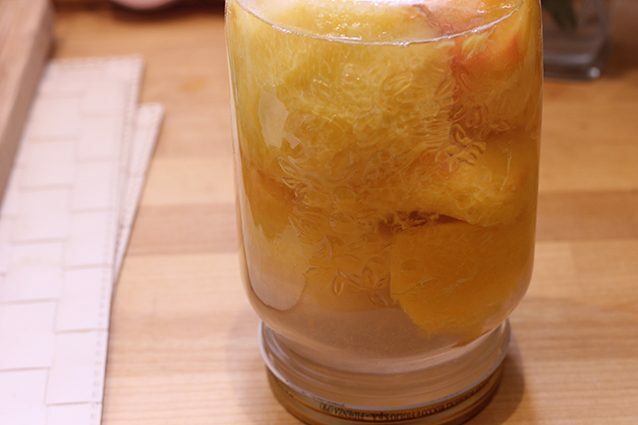 Let the peaches cool, peel them and put them in the jar (4). 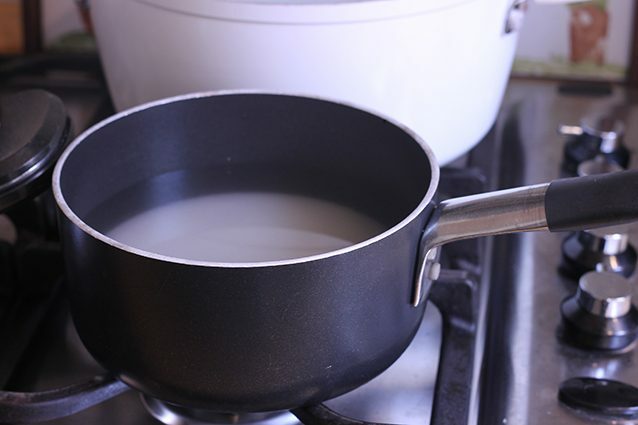 Put the water and sugar in a saucepan and bring to a boil (5). When the sugar has completely melted, pour the syrup into the glass jar. Release all the air and bubbles that are created. Close the jar and let it rest upside down (6). Let the liquid cool completely. Put the glass jar in a pot full of water and let it go for at least 3 hours. When you take out the glass jar, it should not have air inside. If you have a glass jar with an aluminum cap, try to crush it in the middle, if you do not hear the "click" the sterilization is successful. Otherwise, repeat the operation. 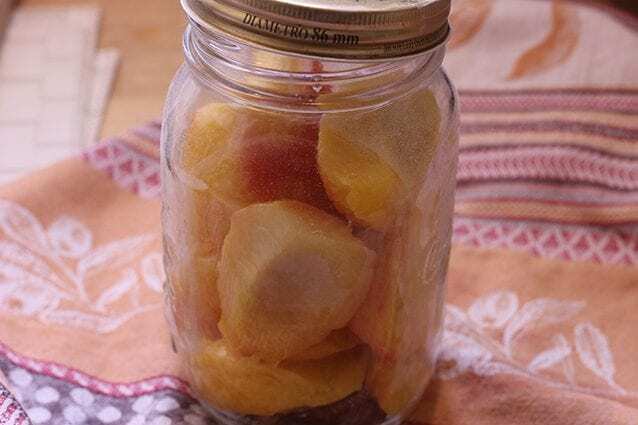 If you have successfully followed the sterilization procedure, then put the glass jar in a dry and dark place, so the peaches will last you up to six months from the sterilization process. If you have decided not to sterilize them, preserve them in their syrup in the refrigerator. In this way they can be preserved for almost a week. Peaches in syrup tarts: a tasty treat that is ready in just minutes!